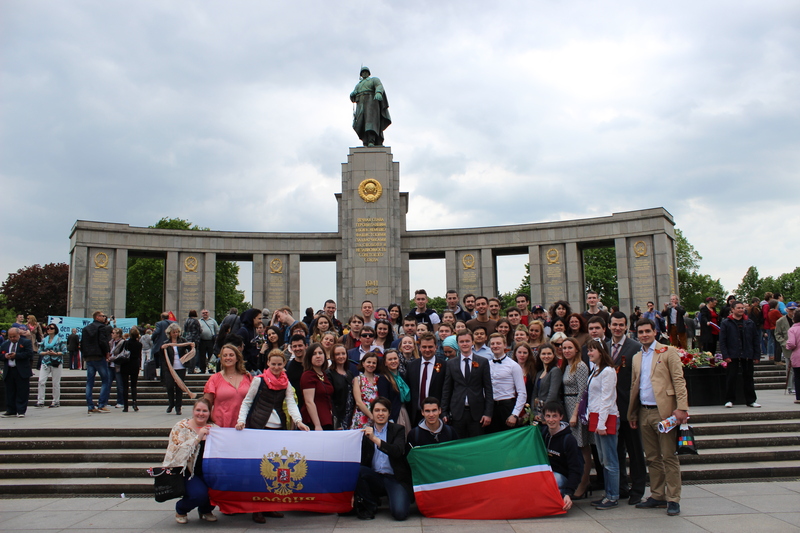 The first project was held on May 7-10th, 2015, Berlin. Target group: Leaders and activists of youth organizations from Russia, federal project volunteers «Victory 70», young bloggers and journalists, young public figures involved in the development of international youth cooperation and public diplomacy aged 18-35. More than 100 people have participated in the activities of the project. The program includes theoretical and practical units, meetings with experts from Russia and Germany, themed tours in Berlin and its suburbs. 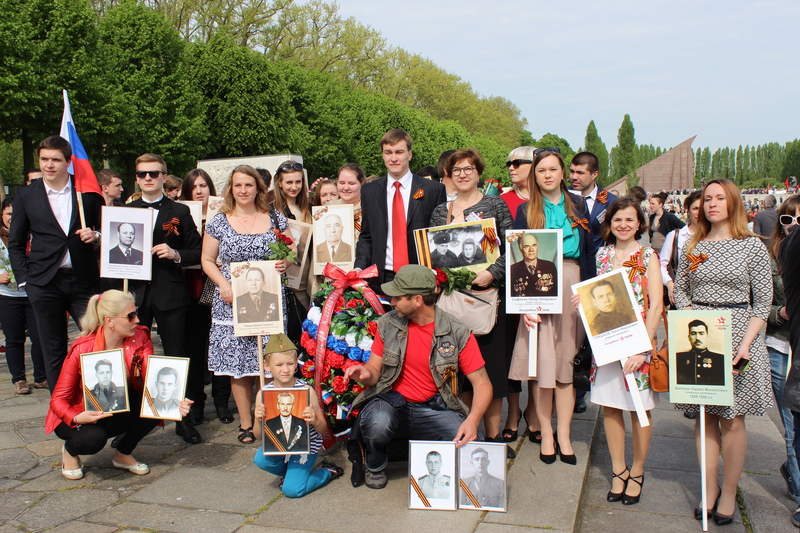 The key points of the program has become participation of delegations in the first action named «Immortal regiment» in Berlin, a visit to the Bundestag, where the participants observe the inscriptions of the Soviet soldiers, lay flowers at the monument to the Soviet soldiers in Treptow Park and participate in a minute of silence in the Russian Museum of Surrender. 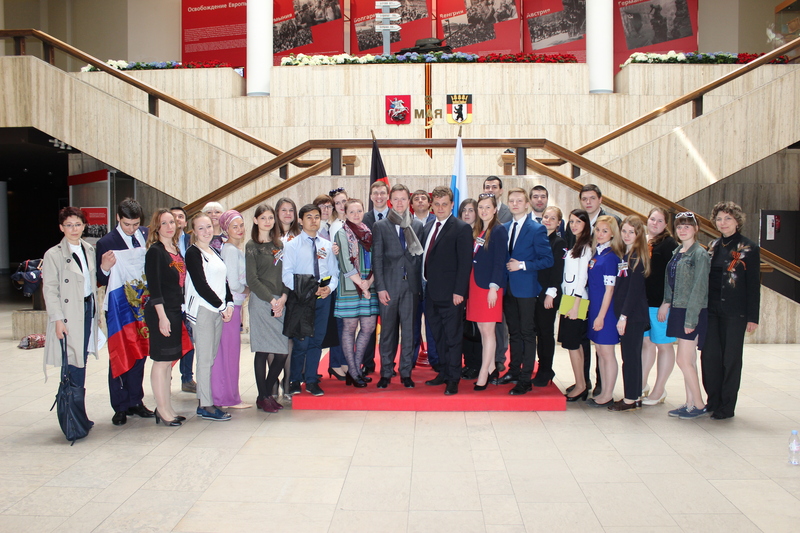 The project showed its patriotic significance to participants from Russia and compatriots living in Germany. At the end of the event, the participants prepare and record a video message on the theme «What is victory for me and my family?», the final article is published in the magazine «Our Youth», as well as on the official websites of the organizers and partners of the meeting, regional media members and social networks. The proposals for the further development of the project are developed.